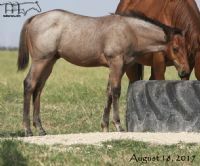 This colt has speed on top and bottom. 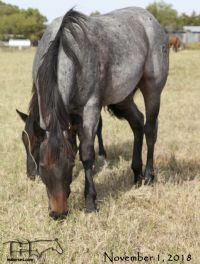 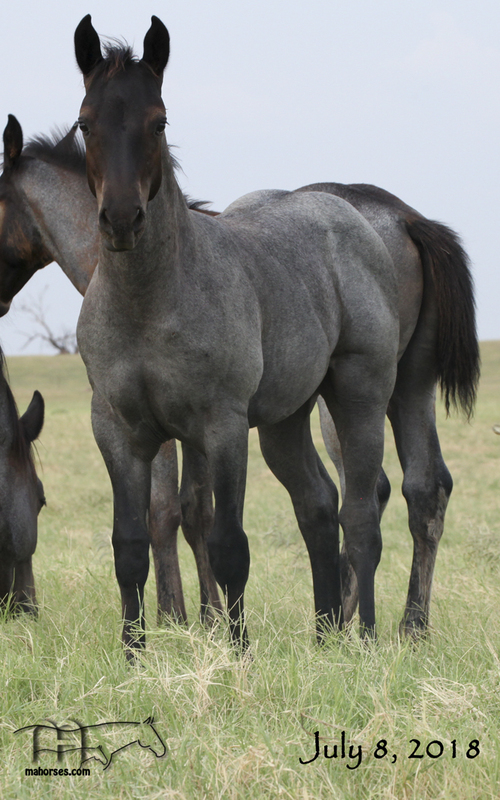 His dam, Blue Tac, is a grand-daughter of Tolltac! 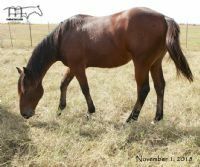 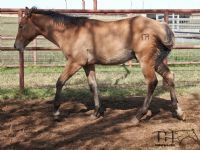 #2217596 AQHA Race SI-113, AAAT, SW 18-12-4-0 to 3, $1,143,043. 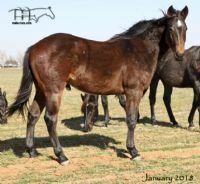 1983 Champion 2 year old colt 1984 Champion 3 year old Stakes Wins: Bay Meadows Futurity, Kindergarten, Golden State Futurity, El Prmero Del Ano Derby, Golden State Derby Sire of: 367 ROM Winners 40 Stakes Winners Total $7,094,401 as of 12/1/05. 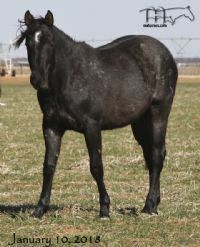 Dams of 46 Stakes Winners. 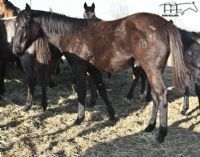 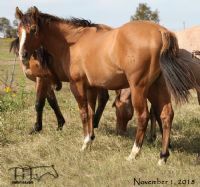 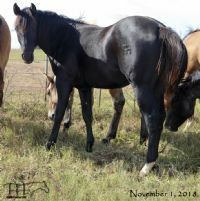 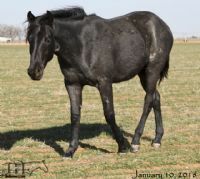 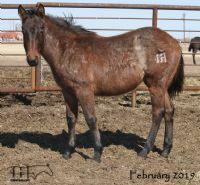 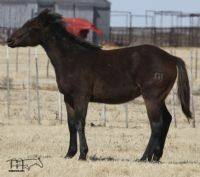 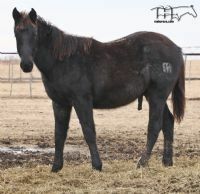 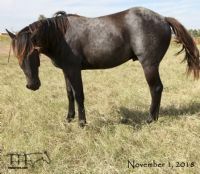 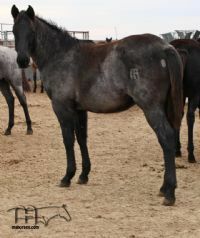 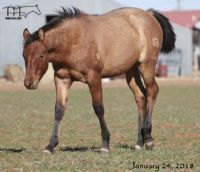 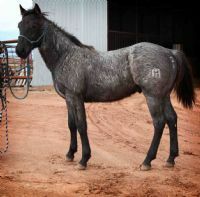 90.2% Foundation This colt will add size to your herd!! 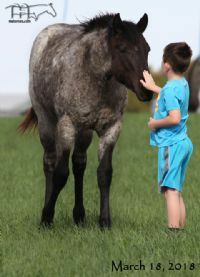 He is BIG!! 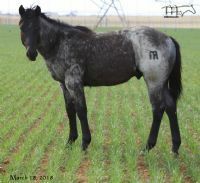 DOB - May 5, 2016 90.2% Foundation 8.78% Joe Hancock 12.1 % Blue Valentine 12.5% Gooseberry This colt is going to be huge when fully mature. 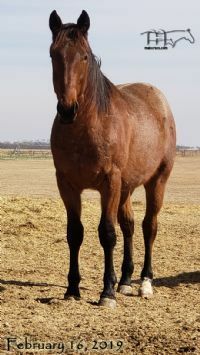 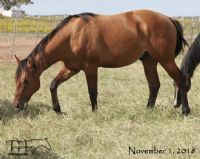 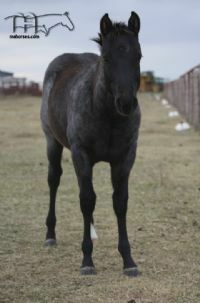 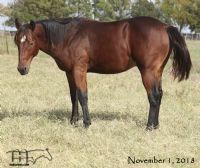 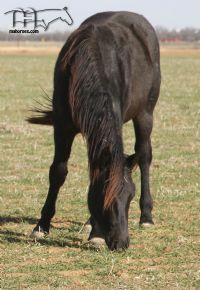 His sire is our biggest (16+ hands and 1600-1700 lbs) and his dam is 3/4 sister to our massive stallion, Smokin Redbone. 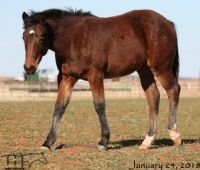 He will have the size and athleticism to do whatever you need to do. 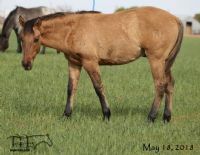 DOB - May 7, 2016 This is one big, stout boy! 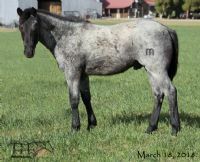 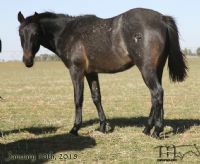 91.55% FQH 18.75% Orphan Drift 10.94% Driftwood 9.175% Joe Hancock 7.82% Blue Valentine 6.25% Zippo Pine Bar This colt has really started filling out and looks so good, the spitting image of his sire, Wily Tuko. 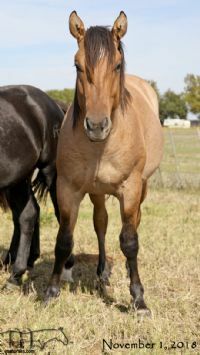 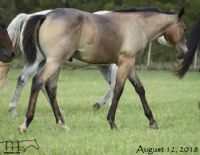 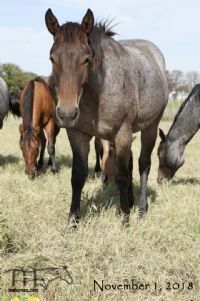 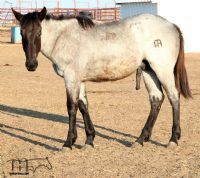 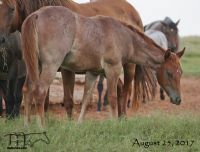 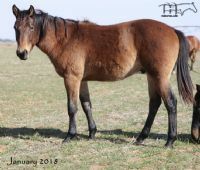 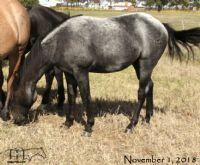 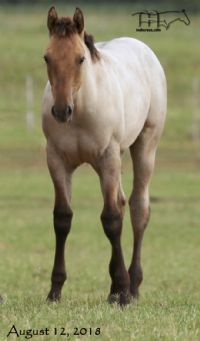 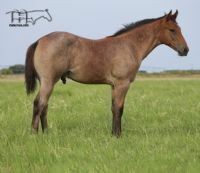 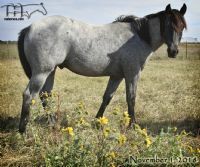 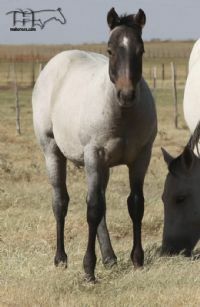 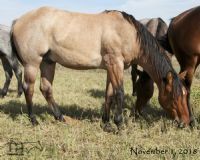 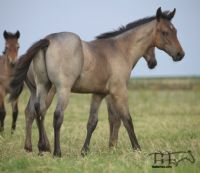 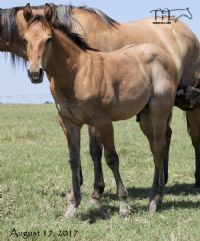 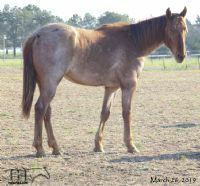 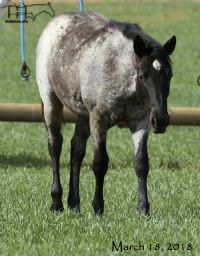 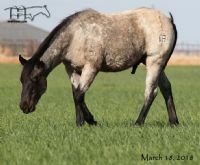 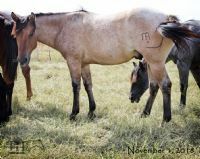 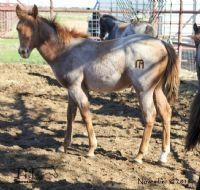 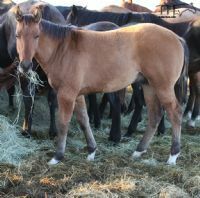 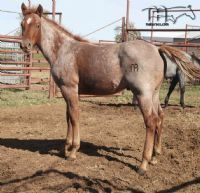 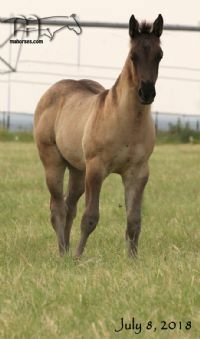 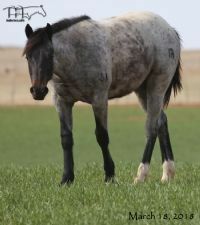 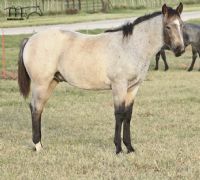 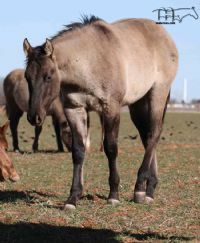 One of the rarest colors we have here, buckskin roan and this colt has a love to run, plus is quartered up with a motor! 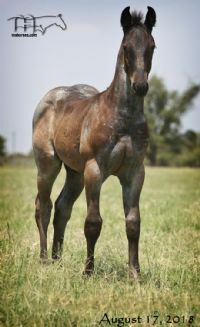 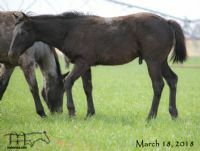 92.09% FQH 12.5% Joe Hancock 18.75% Gooseberry 18.35% Blue Valentine This should be the largest colt born this year. 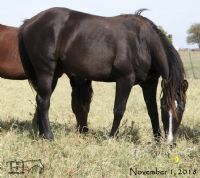 He will have substantial size, at least 16 hands and over 1600 lbs.